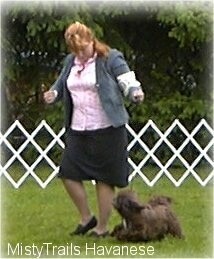 A dog show has different competitions: junior handling, obedience competition and conformation, which judges how the dog conforms to the standard. 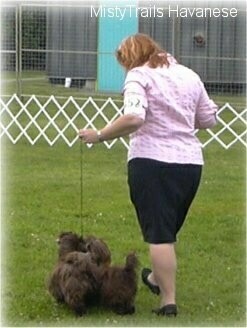 There is also a competition called brace. 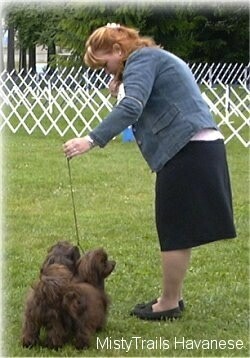 In this class two dogs show together, and must not only conform to the standard, but also look and move as one. 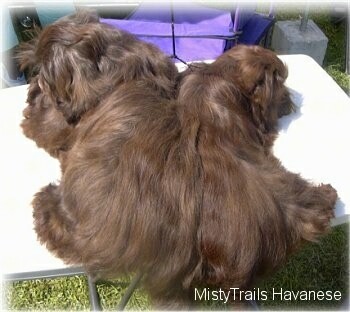 The two chocolate Havanese were the crowds’ favorite, getting mega applause, especially the first day, when they went around with even their tails up and wagging in unison. 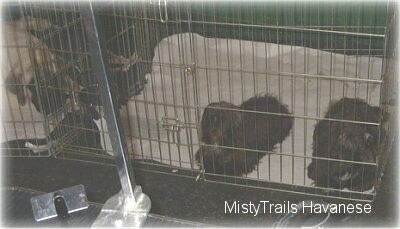 By the last day they were very, very pooped. 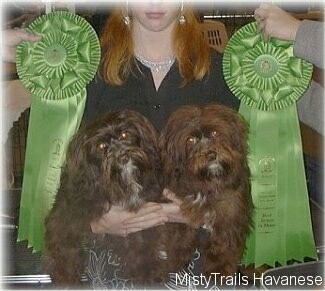 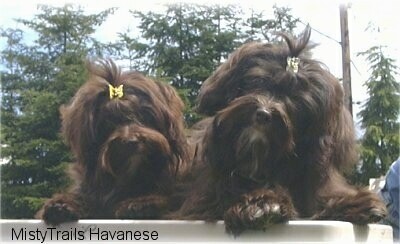 Java and Osiris, the two chocolate Havanese, won best brace two days in a row.